GRAMMY-NOMINATED Irish American super-group Cherish The Ladies, and popular Galway folk singer-songwriter Don Stiffe, have new albums coming out and they will perform a major concert in Galway. Cherish The Ladies will release Heart Of The Home and Don Stiffe will release Longing For The Day. The concert is in The Galmont Hotel on Thursday September 20 at 7.30pm. Special guests are Trevor Hutchinson, Kate Purcell, Donnchadh Gough, Susan McCann, Frank Kilkelly, Ronan O'Flaherty, and dancers David Geaney and Nathan Pilatzke. Heart Of The Home, featuring Nathan Carter as well as Don Stiffe, is CTL's 17 album, and features lively dance music, slow airs, and songs. It also mixes traditional pieces and original compositions. 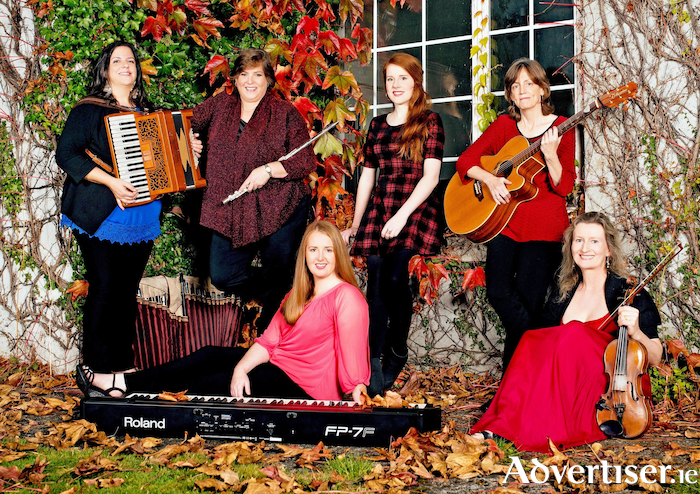 Cherish The Ladies are New Yorkers Joanie Madden (whistles, harmony vocals ), Mary Coogan (guitar, banjo, mandolin ), Galwegian Mirella Murray (accordion ), Glaswegian Kathleen Boyle (piano, harmony vocals ), and Cork's Nollaig Casey (fiddle ). The Boston Globe said of them: “It is simply impossible to imagine an audience that wouldn’t enjoy what they do."